As the market for polymeric and antineoplastic devices for internal drug delivery continues to grow, so does manufacturing of micro-bore tubing made from PLLA (Poly-L-Lactide). US extrusion machinery maker Davis-Standard has sold a PLLA tubing line to a medical start-up in Tianjin, China. The line, installed last year, is said to have exceeded customer expectations by successfully producing products ranging from 1.7 mm to 2 mm OD with a tolerance of +/-20 microns. The line is capable of processing tubing from PLA and PLLA as well as a variety of other thermoplastic resins at rates up to 50 m/minute. Davis-Standard supplied the entire line, including a flood cooling tank. Beasley noted this type of cooling has traditionally been problematic for PLLA. However, recent developments in formulations permit water cooling for a limited residence time without compromising the tube surface. 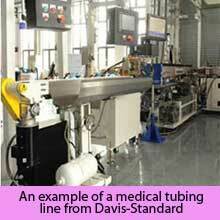 The medical tubing sector continues to be a strong market for Davis-Standard in China. 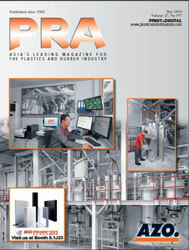 The company has a subsidiary in Suzhou with a lab line capable of demonstrating PLLA technology among other processes. Depending on application, Davis-Standard’s turn-key medical tubing systems can support extruder outputs up to 315 kg/hour) and line speeds up to 240 mpm. 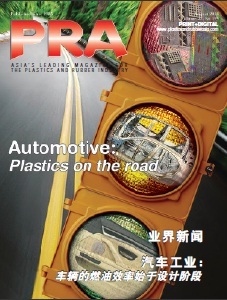 The material range includes PLA, PEEK, FPVC, polyurethane, nylon, PEBAX and FEP. Extruder options are available depending on process and application and engineered for a fast delivery and competitive pricing. Advantages include line control with data acquisition, precision vacuum sizing, closed loop ID/OD control, ultrasonic gauging, puller/cutter systems and more.